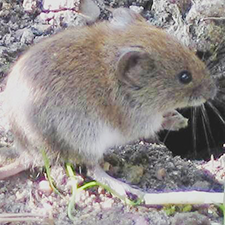 Voles can be destructive to vegetation and also construct burrows like gophers. 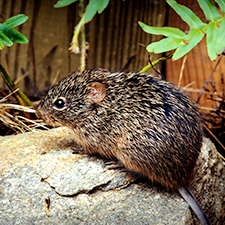 These small rodents look similar to the house mouse and you’ll want to get rid of them as soon as possible. Voles feed on a wide variety of plants all year round and eat bark in the fall and winter. They are active all day and night . They construct surface runways which causes grass to die. Voles have 1-5 liters per year with 1-11 in each litter. They cause extensive damage to ornamentals and tree planting and create extensive runway systems when snow is on the ground. 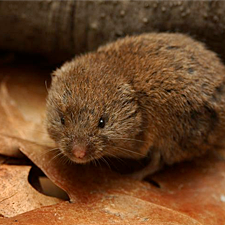 Less common woodland voles dig tunnels underground.